!! OMG, a contest: ‘Greta’ autographed prize pack !! This is a special one, y’all! 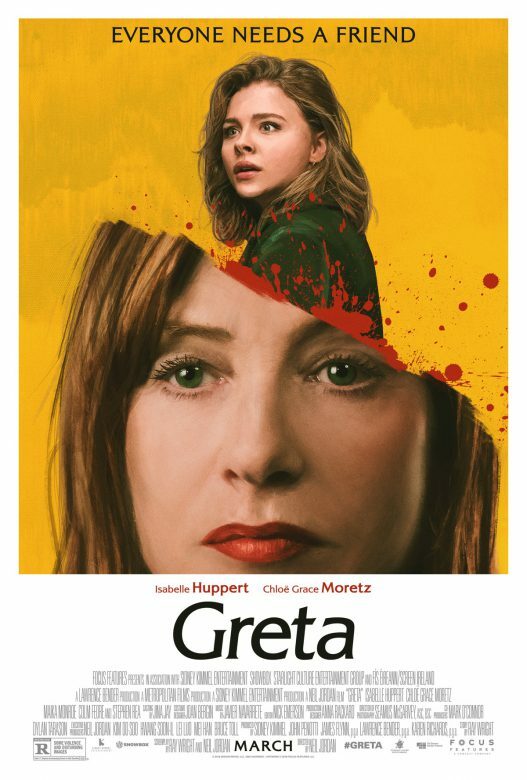 Enter for the chance to win a Greta movie poster signed by stars Isabelle Huppert and Chloë Grace Moretz and Academy Award-winning director Neil Jordan along with a handbag inspired by the iconic bag used in the film by Greta to bait her victims. Her game has just begun. A sweet, naïve young woman trying to make it on her own in New York City, Frances (Chloë Grace Moretz) doesn’t think twice about returning the handbag she finds on the subway to its rightful owner. That owner is Greta (Isabelle Huppert), an eccentric French piano teacher with a love for classical music and an aching loneliness. Having recently lost her mother, Frances quickly grows closer to widowed Greta. The two become fast friends — but Greta’s maternal charms begin to dissolve and grow increasingly disturbing as Frances discovers that nothing in Greta’s life is what it seems in this suspense thriller from director Neil Jordan. THE CONTEST: Chloë Grace Moretz has appeared in other scary movies before Greta. Name one! One lucky winner will receive the Greta prize pack! The winner will be announced on our Facebook page next week. Greta opens in theaters everywhere March 1! Get tickets and more information here. WATCH: The trailer for Greta after the jump! !! OMG, Happy Holidays from those brat, neighborhood kids! !! 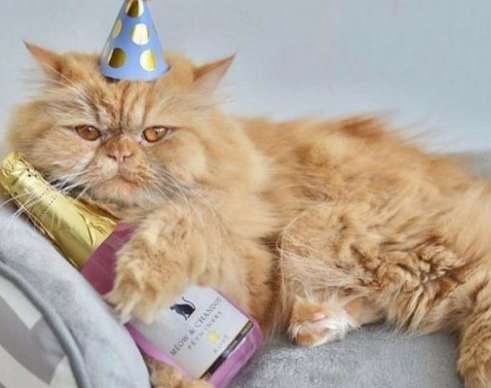 Happy Holidays, OMG readers! Whether you’re a long-time follower, new reader or just a plain old TROLL – we hope you have a wonderful day! !! 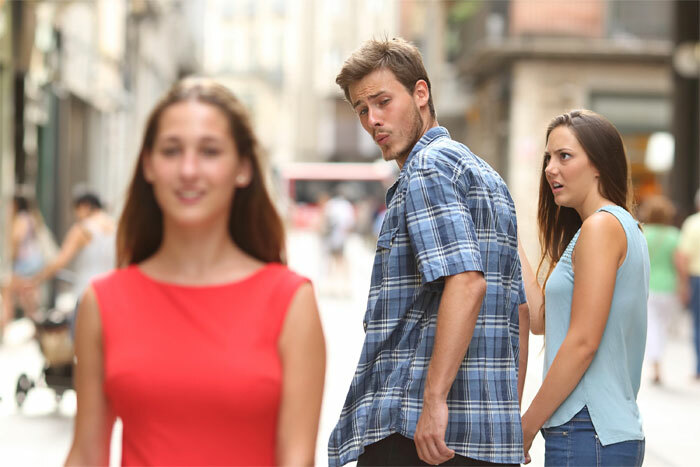 OMG, This is the girl from the “Distracted Boyfriend” meme like you’ve NEVER seen her before !! This is the girl from the “Distracted Boyfriend” meme, but did you know that if you place her in front of a screen of any sort, that she also becomes SHOOKETH!? It’s true! Check out a full gallery of perpetually upset girlfriend, Government name: Carla Ramos, who branches out with her shock and awe when it comes to SCREENS after the the jump! !! OMG, vote for us: Fleshbot Awards 2018 !! We’ve been nominated for a major award! A major award! The discerning folks at Fleshbot have included us in their category “Best Free Site That’s Not Fleshbot” for the 2018 edition of their annual awards. We’re in very good company in the category, but obviously we think we deserve to win. If you agree, please vote for !! omg blog !! and win some cool prizes when you get to the end (note: the voting pages are NSFW). !! OMG, it’s the 2018 LGBTQ reader survey !! It’s that time of year again for the very, very important LGBTQ Perspectives Survey! It only takes about ten minutes to complete and provides vital information that allows us to keep the site going. In addition, participating in the study helps open doors-and minds-around the world, and influences positive changes for our community. Previous surveys have yielded 45,000 respondents from 150 countries! Everyone who completes the survey by April 30th, 2018 may enter into an optional drawing to win one of twenty US $50 cash prizes, or if you win, you can designate a charity to receive the $50. We appreciate your participation and support of !! omg blog !! The survey is conducted by LGBTQ research firm Community Marketing, Inc. !! Welcome to omg.blog !! !! 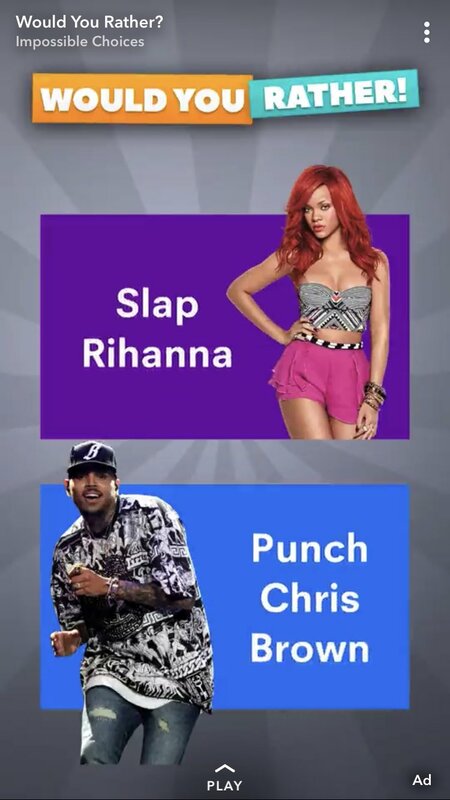 OMG, Snapchat airs insensitive ‘Slap Rihanna or Punch Chris Brown’ ad !! Snapchat isn’t having a great week! First, their GIPHY feature was disabled (so was Instagram’s) after users discovered racist GIFs in the inventory! Now, people are seeing ads pop up asking users who they would rather hurl violence at? The famous victim of spousal abuse, Rihanna? Or her abuser, Chris Brown. 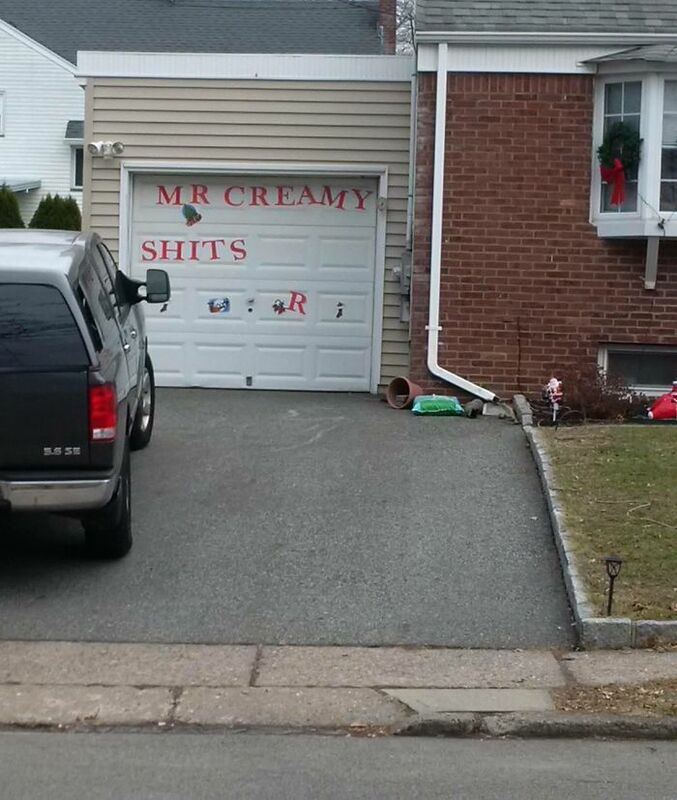 Innnteresting approach to advertising. Thoughts!? !! OMG, don't miss these ! !